Lindsey Mills is an Anchor/Reporter for NEWS CENTER Maine in Portland, Maine. 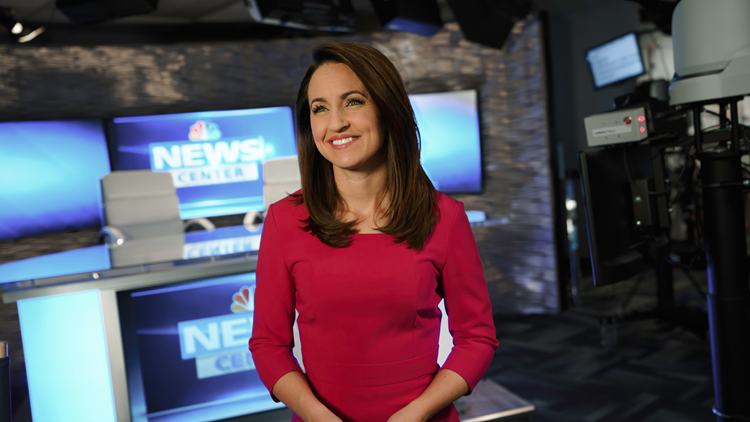 In addition to her role as co-anchor of NEWS CENTER Maine’s NOW at 5 PM, Lindsey covers general assignment stories, specializing in areas of business and consumer protection. Before her time at NEWS CENTER Maine, Mills worked for WMBD and WYZZ in Peoria, IL as co-anchor of the morning newscasts weekdays 5:00 – 9:00AM and at noon alongside her husband, Clay Gordon. Mills also produced the shows she anchored. She met Gordon when she landed her first on-air job at WVII and WFVX in Bangor, ME. She co-anchored ABC7 News at 6 and FOX22 News at 10. There, she won a Maine Association of Broadcasters award in the Spot News category for coverage of a bomb threat at Bangor’s Pickering Square. Mills got her start in the business at WCVB in Boston, MA as a newscast writer and ENG Producer – which meant making sure the tapes were in order! Like her mother and grandmother, Mills enjoys volunteering in her community. Most recently she volunteered weekly with Child Life Services at Children’s Hospital of Illinois in Peoria, IL. A native of Arlington, MA, Mills graduated from Endicott College where she played field hockey and ice hockey. She is thrilled to be back in Maine where she was heavily involved in the community, coaching for Brewer Youth Hockey and serving on the Holden Fire Department Auxiliary. In her free time you can find Mills coaching field hockey for the Maine Styx club program, training for a road race, cooking family Italian recipes, or at the dog park with her 3-legged rescue Chihuahua mix, Tito and her black lab mix, Lucy.